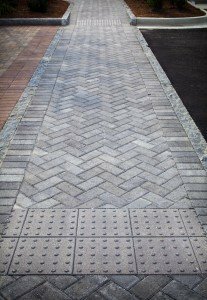 Why settle for a plain poured concrete walkway, when you can have a custom paver walkway? Our professional staff can help transform your Richmond yard from ordinary into a work of art. The Hardscape Center in Richmond, VA can supply you with the materials needed to build a beautiful and functional walkway or pathway. We also offer full service design and installation of walkways, pathways and sidewalks so you can relax while we do the work. If you are doing it yourself, make sure to ask our experts for tips on ensuring that your walkway, pathway or sidewalk project is solid and long lasting.